Interest in sustainable beekeeping is at an all-time high. For anyone eager to learn more about this increasingly popular activity, Song of Increase is a book with the potential to change not just the way you look at honeybees, but your entire relationship with the natural world. “Bee whisperer” Jacqueline Freeman, whose bee and farm YouTube videos have been watched more than a million times, shares spiritual wisdom and practical insights for engaging in a mutually beneficial relationship with these surprising creatures. The most joyful emanation produced by a colony of bees is known as the “song of increase”—declaring that the hive is flourishing and the bees are happy in its abundance. Song of Increase takes us inside the world of the honeybee to glean the wisdom of these fascinating creatures with whom humanity has shared a sacred bond for millennia. Song of Increase focuses on hidden aspects of apiculture that lead us naturally to more sustainable practices. Freeman illuminates the unity consciousness that guides every action in the colony and how this profound awareness can influence the way we see both the natural world and ourselves. 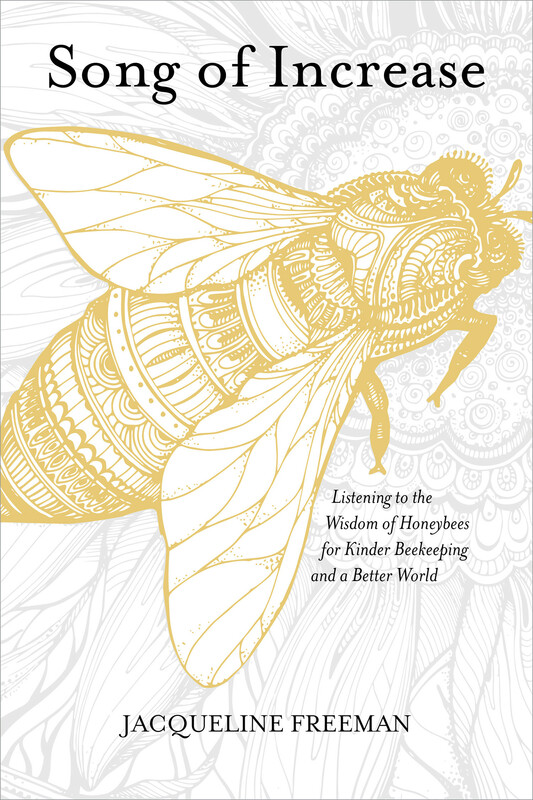 Each chapter presents a wealth of information about the life of bees, including Freeman’s personal insights and direct teachings received from the bees themselves. I cannot speak highly enough about about this ground-breaking book. Ms. Freeman speaks directly to the bees and asks them how to best help them in the challenging environmental times. She and the bees answer critical question about beekeeping and the role the bees play on keeping the earth grid functioning. This book is a must for people who would approach their BEES with recognition of their supra- consciousness. Treetment Free and Bee-Centric bee keepers and environmentalists should have this as their first resource.